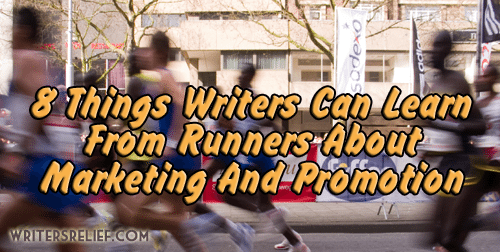 8 Things Writers Can Learn From Runners About Marketing And Promotion - Writer's Relief, Inc. Runners from all over the world are preparing for the TCS New York City Marathon. And believe it or not, many of their training strategies can also propel your marketing and promotion efforts. 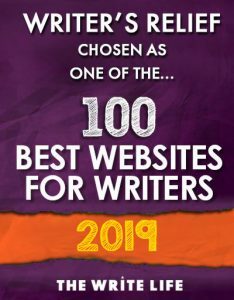 Do you have what it takes as a writer to cross your personal finish line? On your mark, get set, read! Courtesy of the Web Design Relief team: 8 tips writers can learn from runners about marketing and promotion. 1. Set Realistic Goals: Most marathoners are not running to win—their objective is to finish or to beat their previous time. Likewise, you should set goals that are a stretch, but that are achievable. Instead of aiming to be the writer with the most followers on Twitter, set a more attainable goal: Add twenty Twitter followers for each of the next six months. 2. Be Venue-Selective: Marathoners can’t possibly run a marathon every week—it’s just physically impossible. And you shouldn’t try to actively participate on every social media site, every minute of every day—you’ll never get anything else done! Figure out which social network fits your personality, then concentrate your efforts there. 3. Train: A serious runner trains every day. 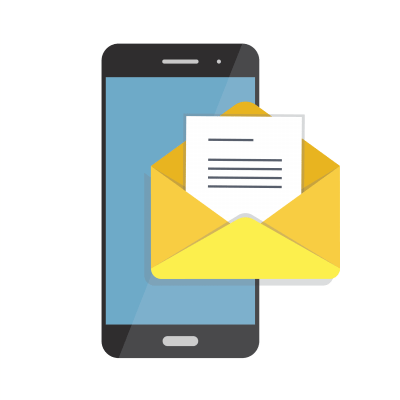 Develop your own regimen of reading, writing, submitting, and being active online. Plus, keep pushing yourself to learn new things and explore new territories. Get better every day. 4. Take Care Of Yourself: Just as an athlete must maintain a healthy balance of eating, sleeping, and exercising—so must a writer. The quality of your writing and interactions on social media are directly affected by your overall health. The body-brain connection is indisputable! 5. Start With Small Steps: It’s easy to be daunted by a big project. A trick of marathoners is to not focus on the twenty-six miles looming ahead of them, but to focus instead on only the next three miles. As a writer, you can apply the same mind-set. Rather than fretting about the months it may take you to write your next book or the myriad of posts you’ll need for social media, focus on the writing you need to accomplish one day at a time. 6. Turn To A Support Network: A successful marathon runner relies on a network of supportive people—significant others, friends, family, and fellow runners; a personal trainer, doctor, and chiropractor; even the salesperson at the shoe store who knows the latest and greatest in running footwear. In the same way, you can develop a stronger social media campaign by making connections with people who can help you cross-promote. 7. Be Inspired By The Crowd: A marathoner gains strength and resolve from the cheers of the crowds lining the route—you can be inspired by the positive responses of your friends and fans on social media. Have fun and take negative comments in stride. 8. Persevere: Like a marathoner at Mile 25, you might feel exhausted, hurt, and want to give up. Don’t let yourself become discouraged. Get your second wind, stay positive, and you’ll be crossing your personal finish line in record time! QUESTION: Have you ever run a marathon? What parallels do you see between writing and athletics? Timely article. I’m close to finishing my first novel and these tips will help me cross the finish line. Thanks for inspiring me to keep going.